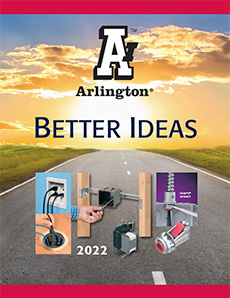 Arlington's FLBR5420 series recessed floor box kits feature TWO low voltage openings (without the need for a divider), an ultra-thin stamped steel flange, and flush-to-the-floor in-use and blank covers. 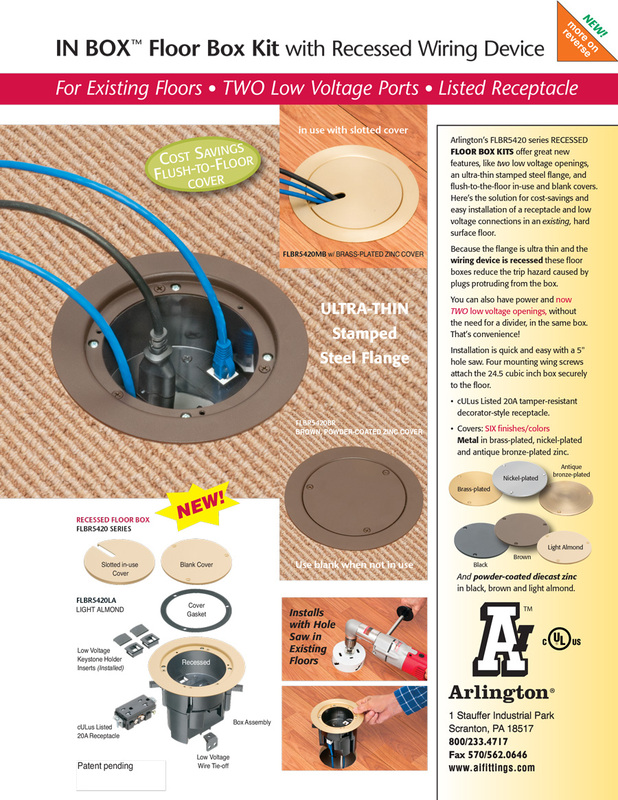 Because the flange is ultra thin and the wiring device is recessed, these floor boxes reduce trip hazard caused by plugs protruding from the box. cover with screws and gasket for future use. 5" diameter hole through flooring and subfloor. NM94 cable connector. Wire receptacle and install in box. 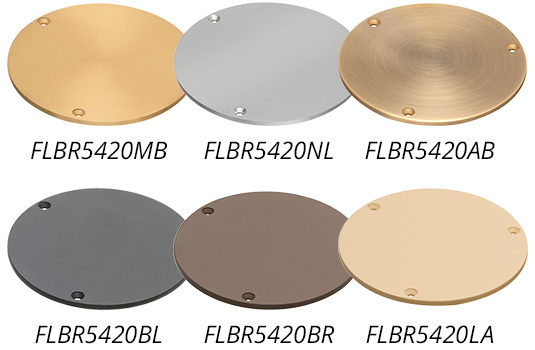 keystone holder if desired (or use keystone blank inserts). 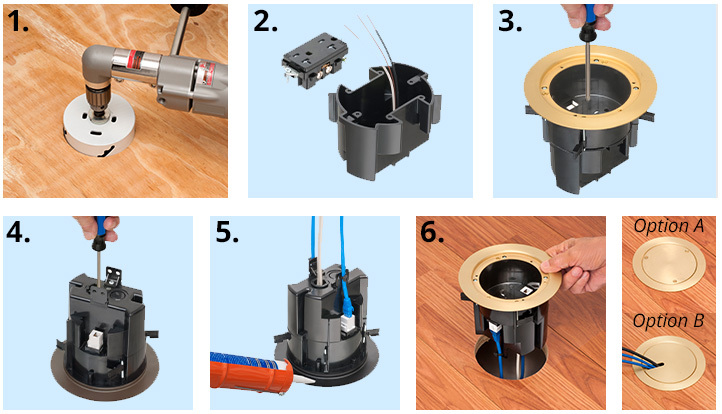 supplied) to attach low voltage cables if desired. as required under flange to seal off at floor.